It’s Spring time! And for many people spring means s’mores around a campfire. 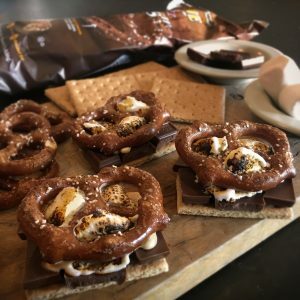 This twist on the usual s’mores recipe adds a bit of salt and a wonderful pretzel crunch to the mix. Give it a shot! Break graham crackers along perforated lines to form “Splits” pretzel-sized pieces. Separate milk chocolate bars into quarters, or your preferred size pieces. 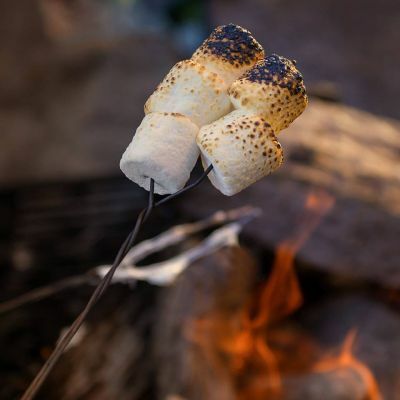 Toast marshmallows over an open flame, preferably a campfire, until golden brown. Optionally burn a few spots onto the marshmallow. 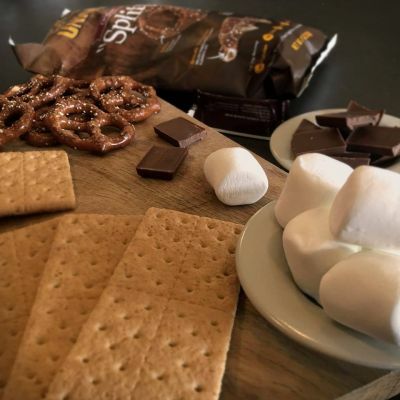 Lay chocolate pieces onto graham cracker pieces, followed by toasted marshmallow, and then top with a Unique “Splits” pretzel. 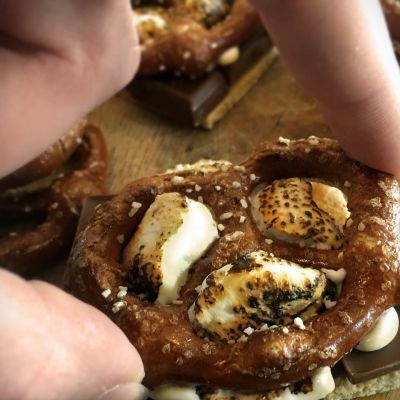 Press the pretzel down into the marshmallow for maximum gooey-deliciousness. Let cool to a safe temperature, and enjoy!